Vinceremos is situated on 15 acres in Loxahatchee, Florida. Our facility stables the Vinceremos horses in the 24-stall "Da Amici" barn, made possible through the generosity of The Davis McCullough Foundation, 5 Star Builders and a group of generous donors. 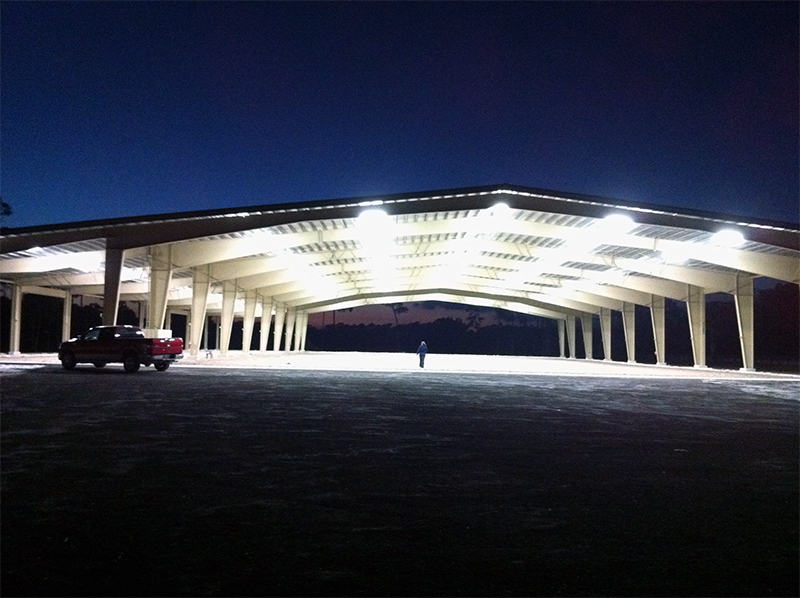 The 45,000 square foot covered arena shelters our riders from inclement weather and the hot Florida sun. The arena boasts state-of-the-art footing, important for the health of our horses and the comfort of our volunteers in leading our riders. The arena can be divided into three rings so that multiple classes can be held at the same time, and it is lit to allow for night classes. The center is fully accessible including a lift to assist riders on and off the horse or the carriage, made possible through the generosity of the Jacobs Family Foundation. Participants ride around the lake or through the sensory trail to experience the independence that is possible with their equine partner.